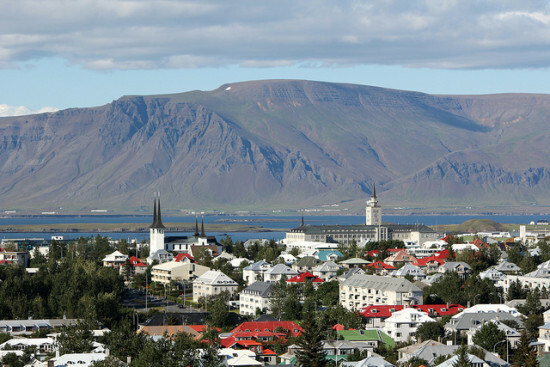 A good sale for nonstop service to Reykjavik. On some dates, WOW will be a little cheaper, however, factoring in WOW’s fees of at least $102 round trip for even carry-on luggage, you will definitely pay more. Icelandair includes ONE free checked bag with the fare, free seat assignment plus you can even earn some useful miles with Alaska Airlines’ MileagePlan program. 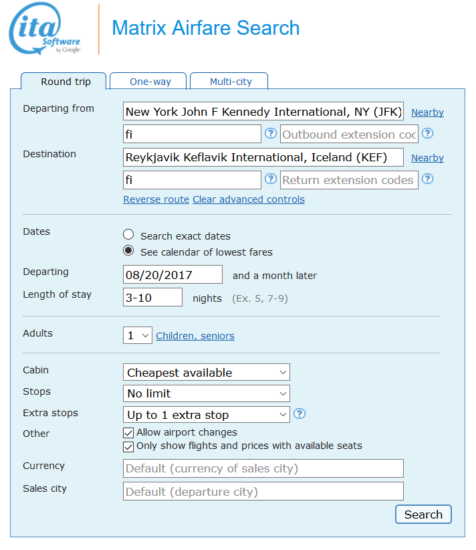 New York / Newark / Boston / Washington D.C. is $312 from late August – October and then $319 from October – early December. 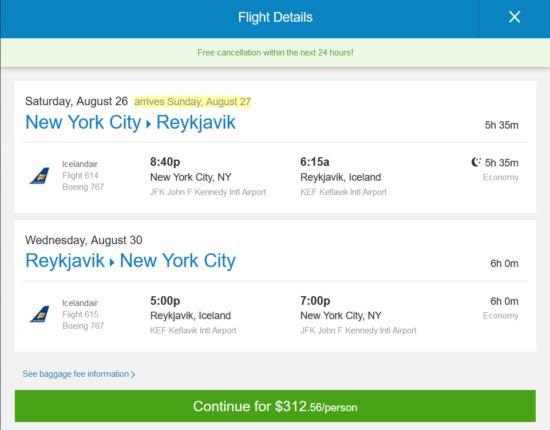 3 Responses to "[Summer] Icelandair – $313: New York / Newark / Boston / Chicago / Washington D.C. – Reykjavik, Iceland. Roundtrip, including all Taxes"
Is there any data on the percentage of people who seek out discount travel, or however you’d define them (budget travelers?) who check a bag? I’ve only ever checked one when it’s a bike. Even backpacking I’ve been able to just do carry-on. Same with most my friends. So I’m curious if we are the exception or the norm? Even on WOW it was no problem to meet their weight limits for the free carry on for a two week trip. @Matt – WOW now only allows 11lbs to be carry-on. if you can do 2 weeks with 11lbs carry-on, then you are definitely an amazing packer. Ah yeah that’s significantly different than 22 pounds plus personal item. Thanks for the update. I’m still curious to how often people check bags though!